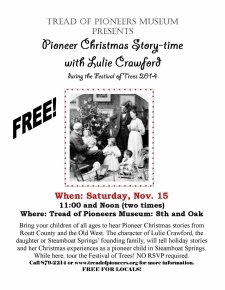 Bring your children of all ages to hear Pioneer Christmas stories from Routt County and the Old West. 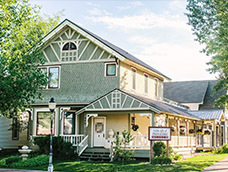 The character of Lulie Crawford, the daughter or Steamboat Springs� founding family, will tell holiday stories and her Christmas experiences as a pioneer child in Steamboat Springs. While here, tour the Festival of Trees! NO RSVP required.